With the Samsung Galaxy S4 now available to consumers, the South Korean based company Samsung has decided to reveal another one of its high end products, which will be in the form of the Samsung Galaxy Note 3. While the tablet has not been officially announced yet, a lot of rumors are already circulating regarding its huge touch screen display, with some saying that it will feature a 6.3 inch screen and others claiming that it will be a 5.9-inch screen. 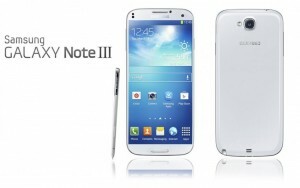 If you look back, you will recall that the Galaxy Note 2 already raised eyebrows with its large touch screen display. There is no reason for the Korean company to take a step back and reduce the screen size of the Note 3. In fact, J.K. Shin, a Samsung executive, reported that the device will be featuring a non-flexible OLED display of 5.9 inches. Before you get your hopes up too high though, you definitely would want to read this article first. Screen Size – 6.3 Inches or 5.9 Inches? While the exact specifications of the Samsung Galaxy Note 3 are still unknown, it is safe to say that the device will come with a considerably bigger screen compared to its predecessor, the 5.5-inch Samsung Galaxy Note 2. There were reports claiming that the Note 3 will be shipped with an impressive 6.3-inch display screen, a size that will dwarf even the current models of large-screen devices, such as the Huawei Ascend Mate (with a 6.1-inch screen) and the ZTE Grand Memo (with a 5.7-inch screen). There were also some reports that pointed towards the Galaxy Note 3 featuring a more modest 5.9-inch display screen that will make use of the AMOLED technology. A lot of people became really excited and believed that the Note 3 will indeed come with a 6.3-inch display screen after the South Korean company listed some details on its very own website. According to Samsung, this Smartphone accessory will be compatible with its models featuring display screens of 4 to 6 inches. However, with the announcement of the upcoming Samsung Galaxy Mega 6.3 and the Samsung Galaxy Mega 5.8, the massive display bump for the Galaxy Note 3 is now less likely. The screen size of the Galaxy Note 3, then, still remains a big mystery. But with executive J.K. Shin is confirming and reporting that the Galaxy Note 3 does exist, along with the revelation that its display screen will be at 5.9-inches, it is safe to assume that the new Note will have a much bigger display than its predecessor. If Samsung does not want to disappoint and if it wants to stay on top of the game, there is no reason not to up the screen size of the latest Galaxy Note model. The original Samsung Galaxy note, which was introduced in October of 2011, came with a 5.3-inch display screen. During this time, many consumers were impressed, seeing that it was one of the first biggest handheld devices to be ever released. In September of 2012, almost a year after the release of the first Note series, the company released the Galaxy Note 2, which was more than 2 inches bigger than its predecessor. Samsung is more likely to keep following this pattern with the Galaxy Note 3, especially with its competitors following in its footsteps and releasing even bigger screen sizes. There is a lot to be expected with the Samsung Galaxy Note 3, aside from a bigger screen size. If everything goes well, then we might just have another impressive large-screen device that will outdo the Ascend Mate and the Grand Memo. On the other hand, if you need access to a business telecoms platform, you definitely should invest in something that has already been established, such as the RingCentral business phone.